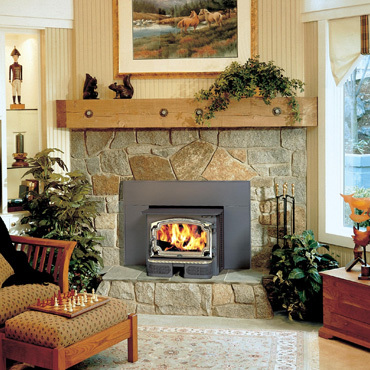 The Revere is an excellent source of heat for a medium sized home or room looking for a more efficient way to heat than an open fireplace. The large, clean burning firebox lets you enjoy heating with wood without polluting the environment. Burn one load of wood up to 10 hours in this insert designed to heat up to 2,000 sq. ft.